Inspired by the philosophy of Wittgenstein and his idea that the purpose of real philosophical thinking is not to discover something new, but to show in a strikingly different light what is already there, this book provides philosophical readings of a number of ‘arthouse’ and Hollywood films. Each chapter contains a discussion of two films—one explored in greater detail and the other analyzed as a minor key which reveals the possibility for the book's ideas to be applied across different films, registers, and genres. The readings are not only interpretive, but they offer a way of thinking and feeling about, with, and through films which is genuinely transformative. Rupert Read’s main contention is that certain films can bring about a change in how we see the world. 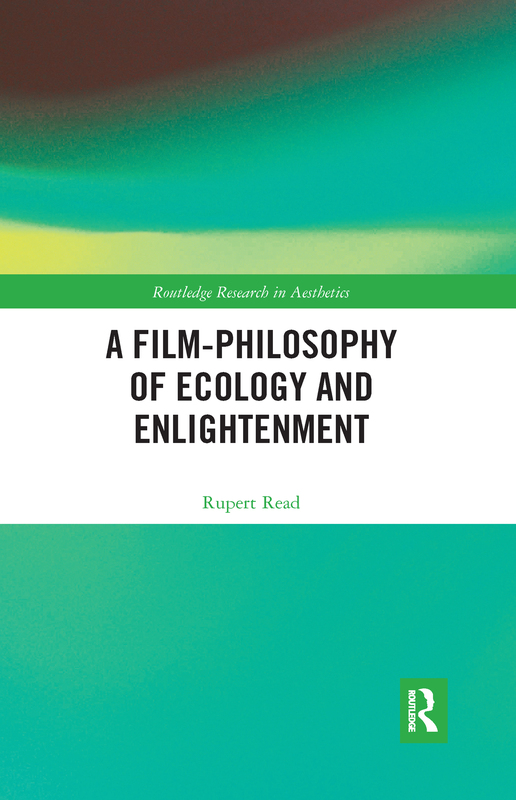 He advocates an ecological approach to film-philosophy analysis, arguing that film can re-shape the viewer’s relationship to the environment and other living beings. The transformative 'wake-up call' of these films is enlightenment in its true sense. The result is a book that ambitiously aims to change, though film, how we think of ourselves and our place in the world, at a time when such change is more needed than ever before.